The Driftless Area in the Upper Mississippi River Basin comprises parts of Minnesota, Wisconsin, Iowa, and Illinois. 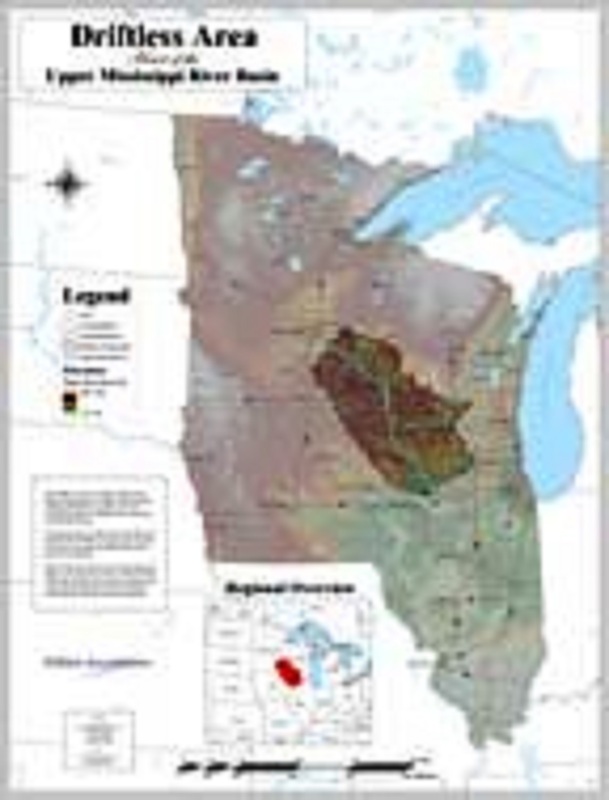 85 percent of the area lies within Wisconsin and is largely rural in character, land cover is forest, farmland, and grassland/pasture; modest wetlands are found in river valleys, and along the Mississippi. Row crop farming is less encountered than elsewhere in the state. Away from the Mississippi, the terrain is gently rolling, supporting dairy farms. 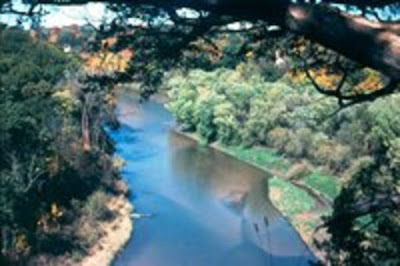 Rivers and Streams approaching confluence with the Mississippi, feature steep and deep canyons in the last 25 miles - 40 km. The change in elevation above sea level can reach 650 feet -200 m. The glaciers that covered much of the Midwest bypassed the Driftless Area, giving rivers time to cut down into ancient bedrock and create distinctive landforms. The soils that cover the steep slopes are fragile ecosystems and the cold-water streams and rivers are recognized for their economic, environmental, and recreational importance. Watersheds, defined as an area within which water that is deposited on the ground through rainfall, irrigation, snow melt, or other means, drain to a common exit point and provide a natural unit for management planning, as conservation activities within a watershed will affect the quality of surface and ground water leaving the area. Managed Areas land and water resources under management are an important part of the management planning picture. Areas such as state parks, fish and wildlife refuges and conservation easements can serve as nuclei around which habitat preservation and restoration can take place. Driftless Area Tourism the land is still farmed by the Ho-Chunk, French, Norwegian, Irish and Scotch-Irish descendants of the original settlers, and by those traveling the Underground Railroad. The region was a popular destination for a new breed of organic farmer starting in the 1960s. More recently, Amish, Mennonite and Hispanic farming communities are dotting the landscape. Aspiring young farmers find the area both affordable and supportive of innovation and new business ventures. Book Your Driftless Area Itinerary Here! Travel Duration 3 nights and 4 days. Group Size Minimum 4, Maximum 50 persons. Cost/Person USD 735 for adults age 19 to 64 USD 585 for seniors 65+ and children under 18. Information for Booking First and Last Name, Passport Number, Expiration date and Issuing country, Date of birth, Email address. Included Travel between cities and states that are part of the itinerary, 5 lunches and dinners, accommodations in double occupancy with breakfast for ten nights, applicable local and state taxes, 5 one-half day sightseeing events, local transport services. Excluded Evening entertainment and transport to tour location start and from tour ending location. Day/time Day to day programs and specific events at each location, as well as the sequence of the tour stops, will be finalized with the participation of the clients after details on family/group composition have been determined to take-into-account client priorities and preferences. Reductions Children under the age of 18 and seniors over the age of 65 traveling with parents and/or guardians, staying in the same hotel room receive a 20 percent discount. 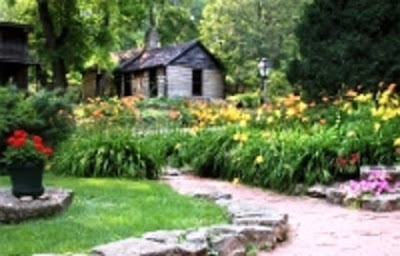 The Mississippi Riverbanks are dotted with larger towns and rural villages and the area’s diversity offers a countryside experience with coffee from a local roaster and a glass of wine from a local vineyard as well as trout fishing, biking, canoeing and kayaking. You can shop for art, antiques, handmade furniture, artisanal cheeses, or locally-grown foods in the small towns and their farmer markets. Locally-owned small hotels and Bed & Breakfast accommodations are much sought-after, as are cabins in the forest, campground spots and Farm stays. 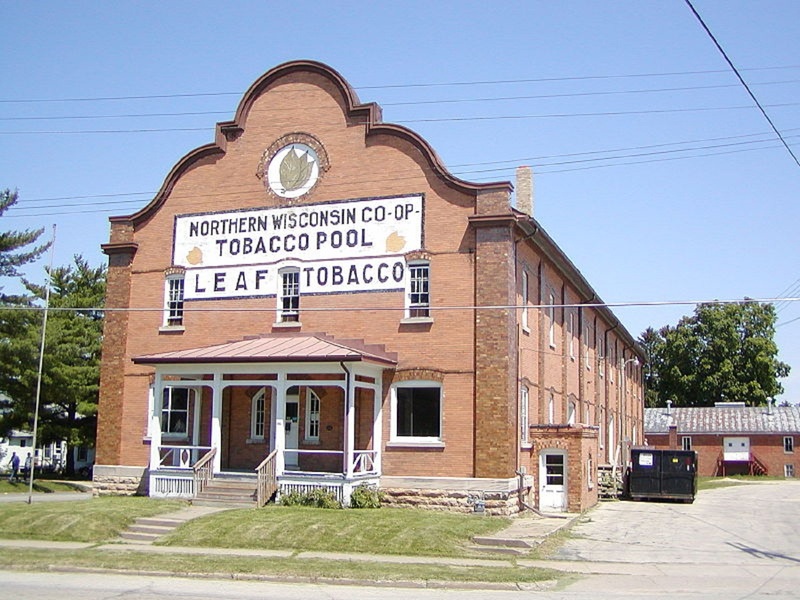 Stonefield Village celebrates Wisconsin's rich agricultural heritage. Learn about the rise of turn-of-the-century dairy farming and the development of modern farm implements, including tractors, reapers and threshing machines. Experience the sights and sounds of the local railroad. The Railroad Depot Museum in Mineral Point takes you back to the days when the railroad was the lifeblood of commerce. Discover the elegant lifestyle of a local 19th century merchant family. Local Architecture the Mineral Point Historical Society has compiled photos and architectural histories of each downtown building. Look for the binder in every downtown building – and add your own comments. Viroqua is home to an art collective, Organic Valley, Fifth Season Coop and several green businesses. The downtown district is listed on the State and National Register of Historic Places and is home to dozens of shops that offer everything from metal and glassware, to art, wine tasting and dining. Westby was named after Civil War Union soldier Ole T. Westby who, like many of the town residents, was originally from Biri, Norway. The local economy is built on cooperative businesses, hence the term Co-op City. The Arezza Network by Tema. Ethereal theme. Theme images by Maliketh. Powered by Blogger.